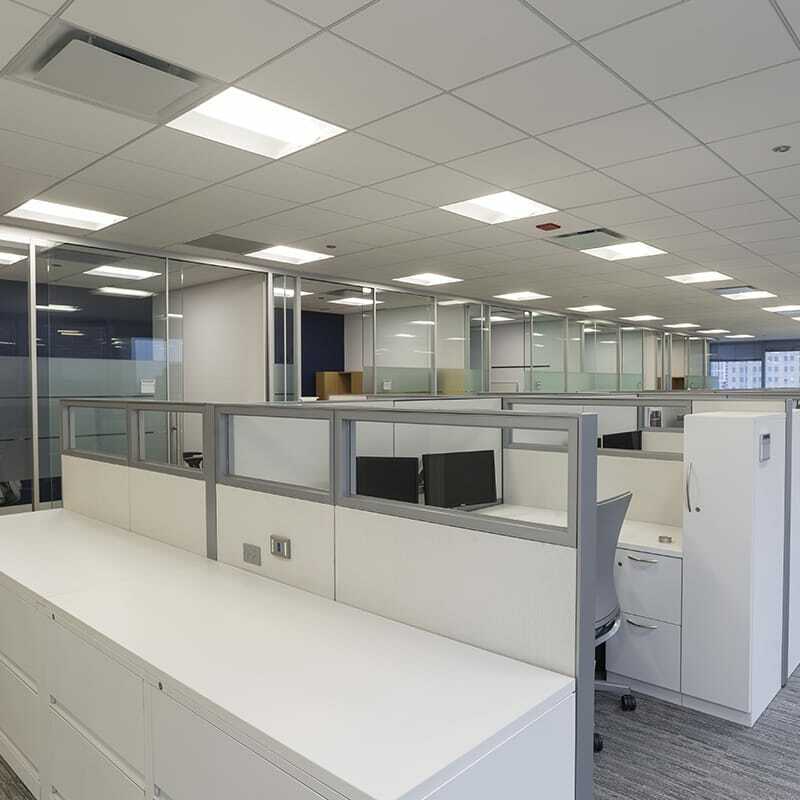 Gilbane Building Company provided general contracting services for a confidential client for their Chicago office at 500 W Madison. Gilbane completed the original buildout for the client in 2015 and was brought back in 2017 to reconfigure the entire floor for a new subtenant. 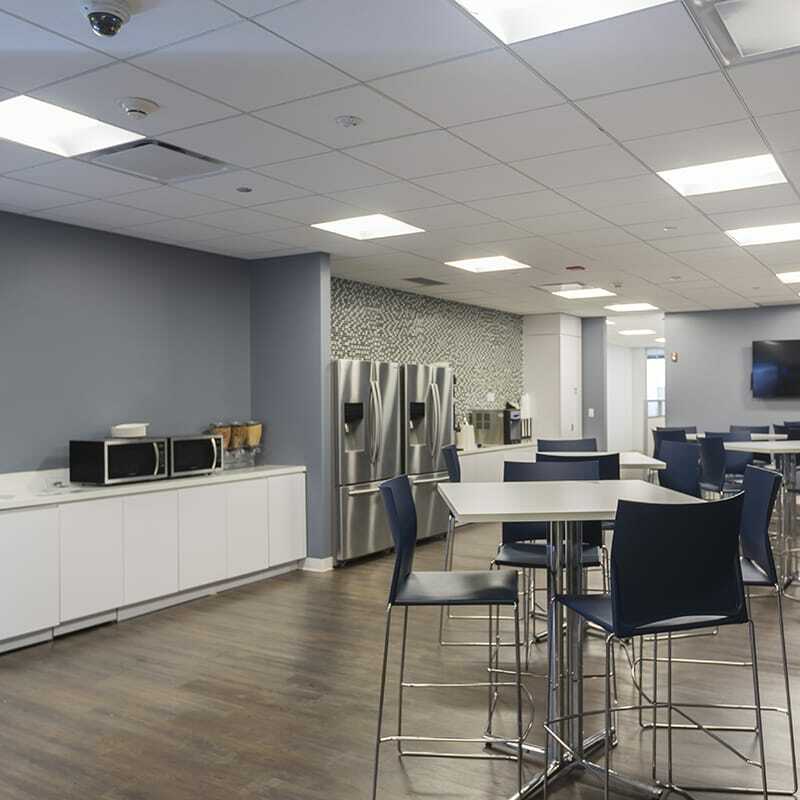 Once the demising project was completed for the client, their tenant hired Gilbane to complete the renovation of their new 17,000 SF space in order to fit their needs. Scope of work for the confidential client consisted of interior demolition, drywall partitions with security fencing above ceilings, existing acoustical ceilings and flooring rework, new door assemblies with security access, existing MEPFP system reconfiguration based on revised layout and building landlord requirements, as well as above ceiling LV conduit/junction boxes per the client’s security requirements. The tenant’s project required minor demolition to expand the existing employee breakroom and new walls to create a large conference room. The remaining scope required rework and patching of existing walls, ceilings, flooring and MEPFP systems. Since the project included renovation of an occupied existing space, one unique challenge was the need to match all new finishes in the tenant’s space to the existing materials including cloud/acoustical ceiling, carpet and tile. The vinyl plank flooring in the existing space was discontinued after the original project was completed in 2015. Gilbane’s project manager was able to source the material from a warehouse on the east coast to ensure a seamless and cohesive final product. The team also made sure that all technology systems in both areas were installed so there was complete separation between the two company’s systems to ensure data integrity. All project work was completed on an occupied floor. 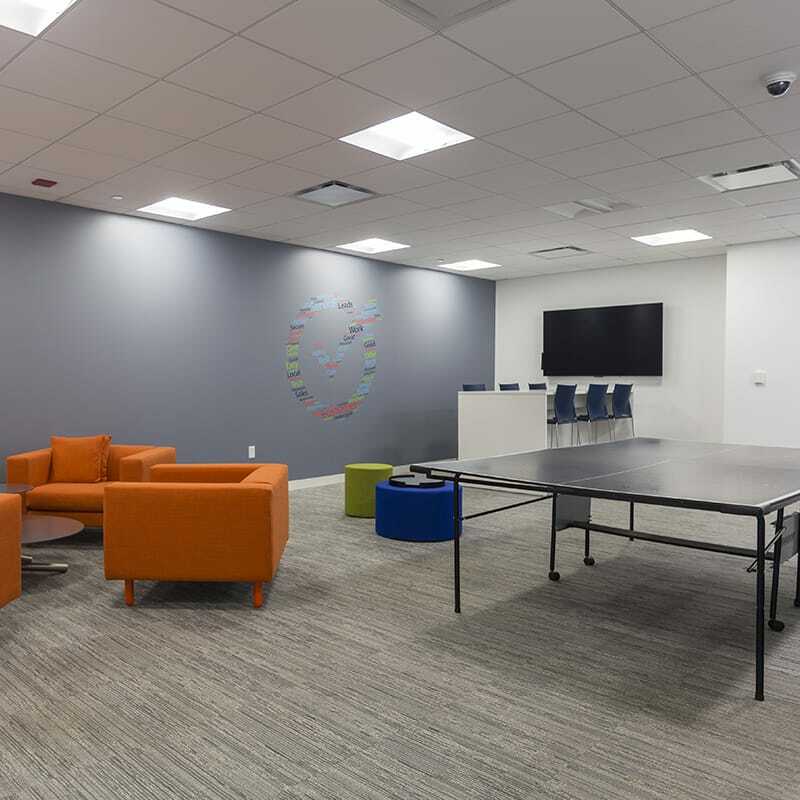 Gilbane worked closely with the client and building landlord to minimize disruptions to the employees and surrounding tenants. After hours work was required to complete demolition, install safety barricades, complete noisy work and trash removal and coordinate all deliveries. Ultimately, Gilbane successfully completed the project with minimal impact to the existing tenants and employees.